Our baby boy is here! 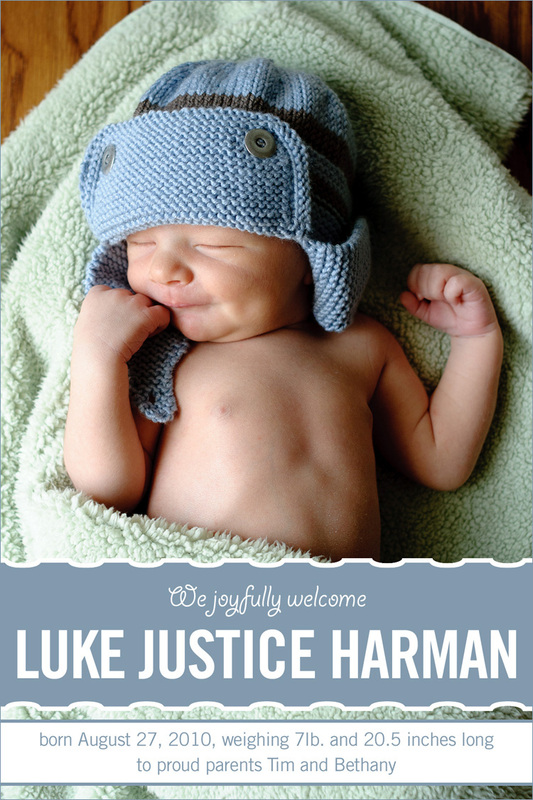 Luke Justice Harman was born August 27th. I never thought I could love a little guy so much. Yep, he is pretty much amazing. I thought everyone would like to see a shot of him, so here is the birth announcement. yes, my kids are cute, but so is yours! He’s adorable. Nice hat. How’d you know I’d posted so fast? I’m working on my site. Not done yet. What did you think about the colors and logo and stuff? Be honest. Your work is gorgeous & Luke is completely perfect! So Sweet!